Professional poker player Phil Ivey may be extremely talented on the felt, but he hasn’t had the best of luck lately when it comes to the court system. After losing a battle with the UK’s Crockford Casino last year, he’s still fighting a similar case in New Jersey where The Borgata sued Ivey for cheating at gambling. The lawsuit was originally launched in April of 2014 when the Atlantic City casino alleged that Phil was using a duplicitous (and purportedly illegal) method known as edge sorting at the baccarat tables. Ivey won a grand total of $9.6 million from the Borgata while using the alleged cheating method, and just recently filed a counter suit against the casino for destroying evidence. In the counter-suit, Ivey claims that The Borgata’s suit is frivolous and requests that it be dismissed on the grounds that the casino destroyed evidence. Ivey says he is unable to provide adequate proof to support his defense due to the casino negligently or fraudulently destroying the deck of cards that was in play when his incredibly profitable gambling streak took place. 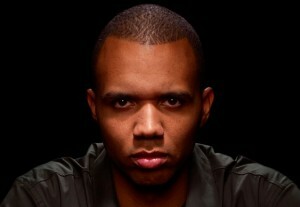 In the original suit, The Borgata claims that Phil Ivey and a cohort by the name of Cheung Yin Sun were unmistakably cheating at the baccarat tables. The Borgata says that the two teamed up to take advantage of the casino by exploiting a defect in the playing cards, which were manufactured by Gemaco, and admitted that miniscule defects are common in the manufacturing process of all playing cards. According to court filings, Sun (aka “Queen of Sorts”) has a keen ability to observe cards and identify the most negligible defects. She and Ivey worked together to exploit that skill. Sun would identify the cards based on their previous usage and imperfections, then when the deck was reshuffled and used once more, let Ivey know when to increase or decrease his bet sizes. The duo went so far as to ask the dealer to rotate the shoe before dealing the cards so that Sun would be able to identify the cards before they were played. But despite the fact that casinos are well aware of the flaws in playing card manufacturing, the staff of The Borgata catered to Ivey’s demands in using a specific deck and rotating the shoe to their liking. Gemaco, who produced the purple deck of cards in question, is listed among the co-defendants in the law suit, but is not involved in the counter-suited filed by Ivey’s defense team. Phil does not deny the fact that he and Sun were using the edge-sorting technique, but is adamant that there was no cheating going on at the tables. He insists that their ability to incorporate a superior skill that may be illusive to other patrons of the casino does not violate any law. The American poker pro pled the same case to a UK court when he sued Crockford Casino for refusing to pay him the £7.8 million he had won in August of 2012, playing the same game and using the same edge sorting technique. Upon cashing out, Ivey was reimbursed his original £1 million stake, and told the rest would arrive via bank wire, which is common practice for high stakes gamblers who win a large sum. That bank wire, however, never arrived. Ivey admitted to reading the cards at Crockford Casino, but said “I’m no cheat”. Crockford’s disagreed, claiming that Phil was “operating a scam”. In the end, the courts decided in favor of the casino, ruling that Phil Ivey was indeed cheating at gambling, and that he had no right to the millions he had own. The Borgata has already called upon the proceedings and eventual outcome of the UK casino case, and Phil Ivey, who is more adept than most humans at calculating the odds, should be well aware that the same outcome is probable.